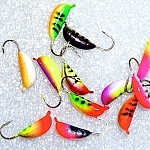 Thru Hole jigs just haven’t caught on in the US. So, this is your chance to try them out on the cheap. 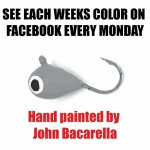 Or if you already know how great they really are, save a ton on these models! 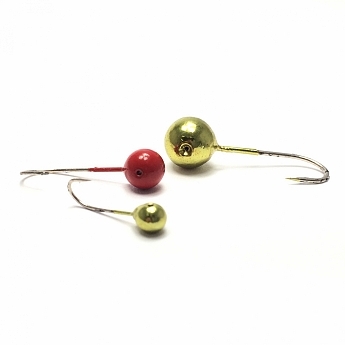 The special thing about the Thru Hole Round Ball Head is that once you have it tied on, the jig will always stay perfectly balanced and hang horizontal. 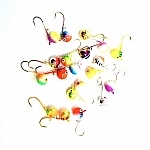 Most tungsten (wolfram) jigs sold here in North America usually have a hook eye on top of the jig that we tie our fishing line to. 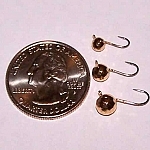 Havjng the eye on top is extremely convenient and using a loop knot generally keeps the jig hanging more less horizontally. They words here are "more or less" not perfectly. 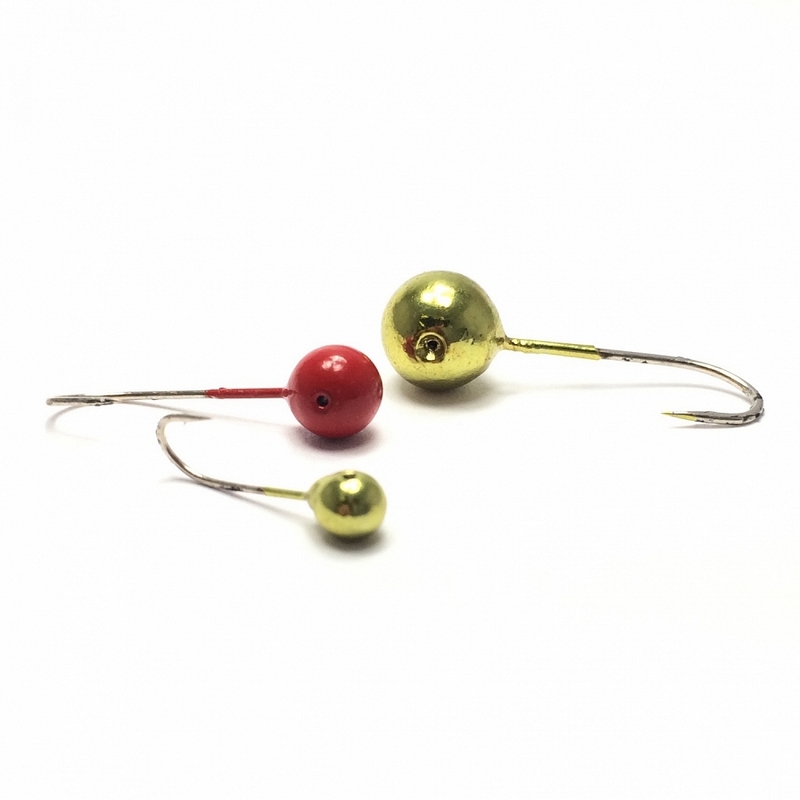 Also, you tie with a tight knot, like a Palomar or clinch knot, your knot will move after setting the hook or even attaching your jig to your hook keeper on your rod. You will also notice that the Thru Hole will also have a different action because of how it's attached. 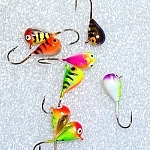 Like all other things to do with fishing, it only matters when it matters. 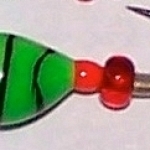 We offer this jig in just two contrasting fishy colors: Blood Worm Red and Bug Guts Green. 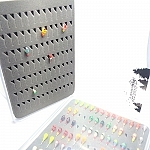 Choose between 4mm, 5mm, 6mm or massive 8mm sizes. 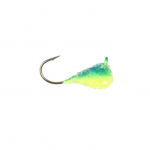 There's a size here for all fresh water species and the long shank hook of this jig will allow you to present everything from soft plastics to whole minnows, perfectly horizontal every time you drop it down the hole!